With facets and a stunning red accent, the Ruby Jewel Base Acrylic adds excitement to any recognition event! A clear top comes down to a black acrylic base with a red jewel-like accent. Your customizable message is featured front and center and takes on a frosted appearance all will appreciate! 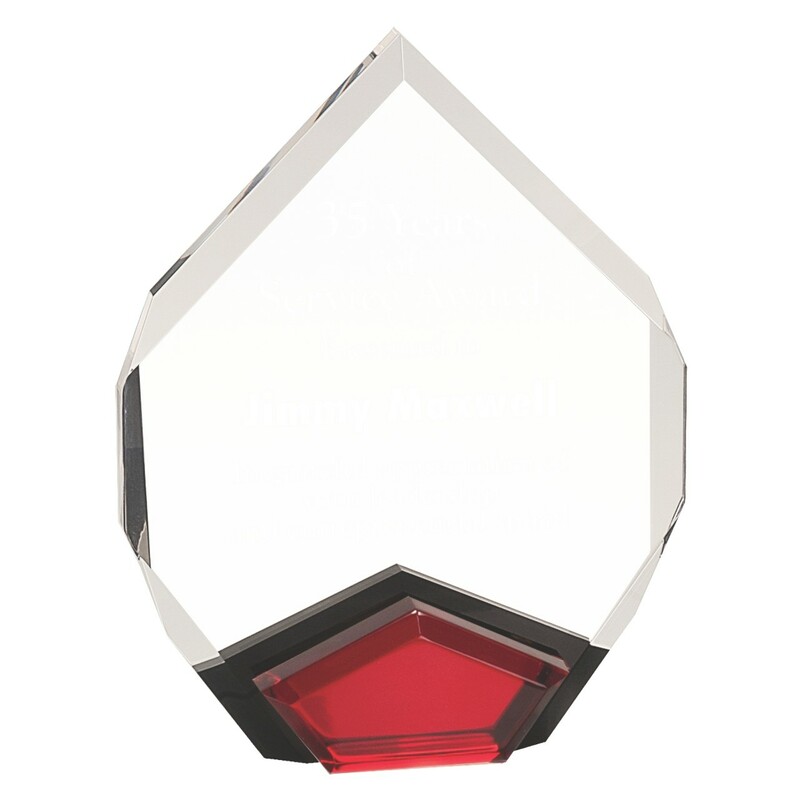 With 2 sizes to choose from, this acrylic will be the perfect addition to any desk or shelf!